For those in your late 20s to 30s, you might be familiar with DJ Tang, who helmed the popular nights at the now defunct Rebel, Zirca and The Butter Factory. 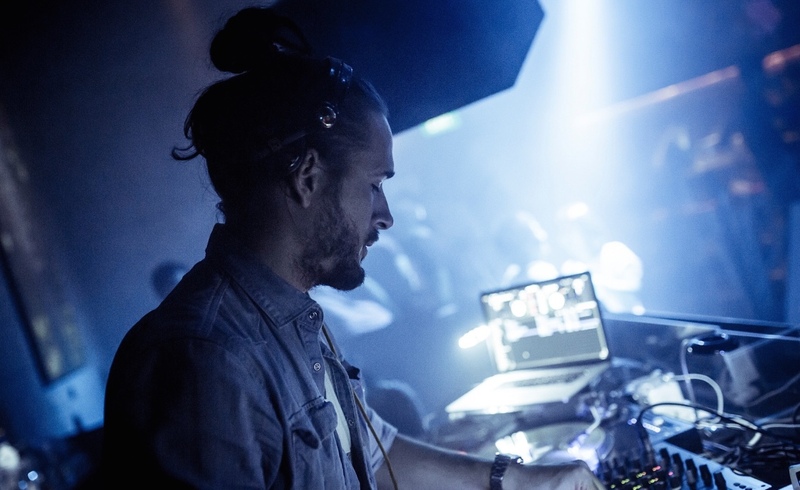 The British native, whose real name is Matt Crowhurst, came to Singapore in 2005 after being approached by Ministry of Sound Singapore and decided to stay on and spread his brand of music. Even now, his fame precedes him. You can catch him on most nights at Baliza, Ce La Vi, AVRY and Mao. We recently caught up with Crowhurst, got him to answer a few quick questions and more importantly, craft a mix for the hip-hop heads for the long days (and nights) in the office. Actually, how did you get your moniker DJ Tang? When I first started DJ-ing in the UK clubs, I was known as a jungle/drum and bass DJ and I went by the name of MattyMatt. When I switched to do more hip-hop/turntablism stuff, I thought I should change my name because MattyMatt sounded rubbish (laughs). I was listening to a lot of Wu Tang Clan back in the day and also kept a marine aquarium with lots of Tang fish in it. I had no idea at that stage that I would be moving to Southeast Asia. Tang is quite an uncommon name in the UK, obviously not so much in Singapore. What keeps you going on after more than 20 years? I still really enjoy DJ-ing. Despite having done this for so long, I still practise at home when I’m not working. There is a constant supply of new music and the technology we use to play it with is frequently updating. There are always ways to improve and new techniques to embrace so for me it doesn’t really get stale. How have you seen the nightlife scene in Singapore evolved from when you first came in 2005 until now? I have seen lots of trends come and go within that period. The Singapore scene tends to adopt worldwide nightlife trends whether they are good or bad. Generally clubs have shrunk and I suspect that young people don’t frequent night clubs as much as they did in previous generations. Right now there are lots of new venues in Singapore and the scene feels vibrant. What do you think of today’s hip hop music with its mumble rap? Pretty terrible right? I think that there is good and bad with each generation of music. The older listeners will often try to hate on the current whilst forgetting that a previous era also had its fair share of bad artists. I enjoy music by some of today’s hip hop artists, as I still enjoy some from many years ago. What’s your guilty pleasure music? I bet there’s Taylor Swift or ‘Despacito’ in your playlist. (Laughs) I’ve never really listened to much Tayor Swift. That being said, if I know that a cheesy track is going to really work in a venue I will consider playing it. I would like to be cool enough to say that I have never touched ‘Despacito’, but I would kind of be lying! Outside of the clubs, what’s the real Matt Crowhurst like? I have a wife and a pug and I spend a lot of time hanging out with them doing things that most people enjoy. I also grow corals in my living room and I spend way too much time with a virtual reality headset strapped to my face. If you weren’t in music, what do you reckon you would be doing? I worked for a law firm before quitting to become a full time DJ. I would definitely not want to return to that. I’d like to think that I would have pursued a career in 3D graphics or video game design.